Never miss a day of medication! 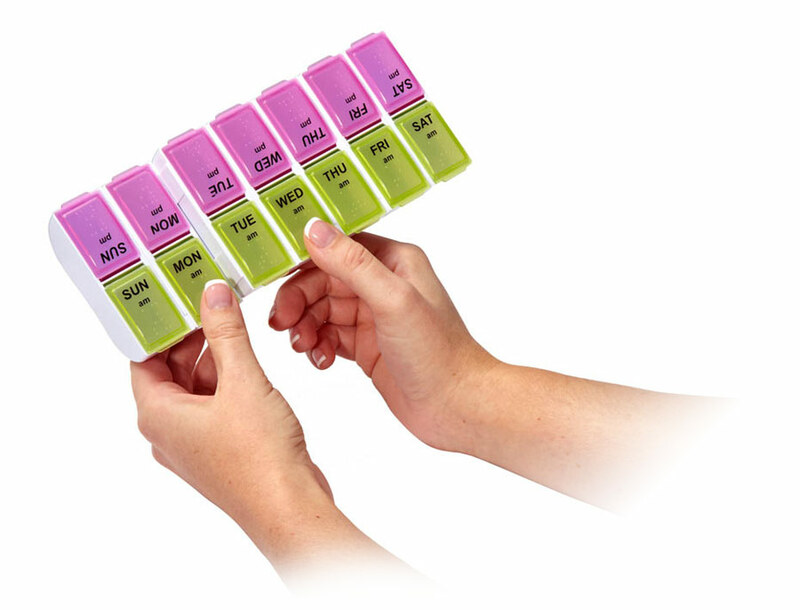 Detach N Go Pill Organizer has 7 interlocking detachable compartments. 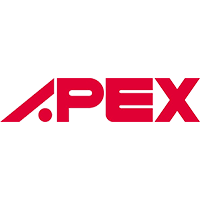 Each section is a self-contained AM/PM pill box. 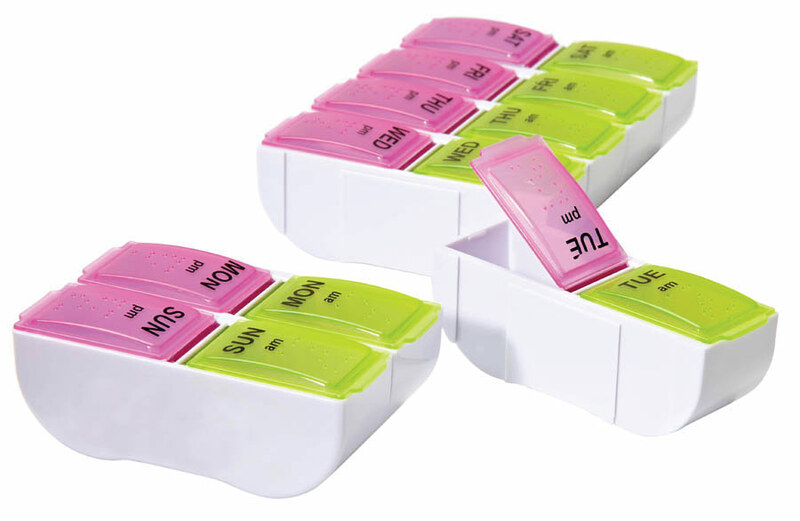 Compartments hold 50 asperin-size pills. 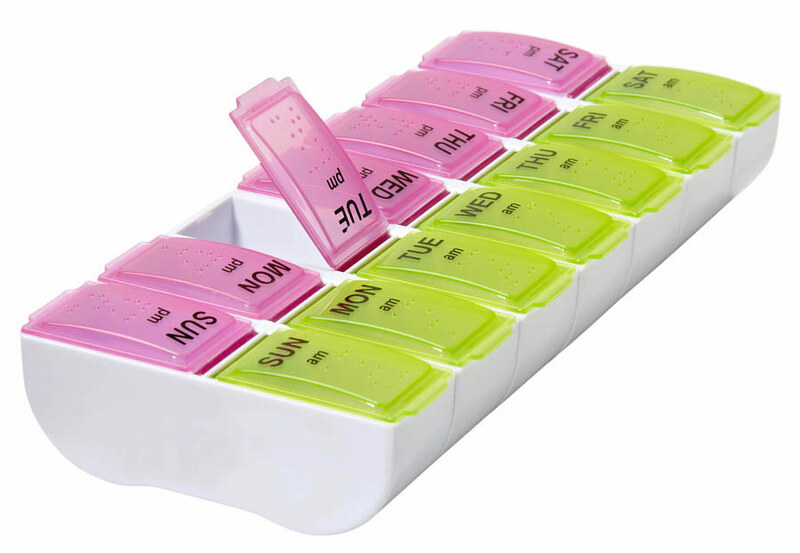 Never miss a day of medication with this easy-to-use detachable pill organizer designed to offer you complete flexibility. Each compartment interlocks to form a full week or detaches for individual days. the snap-on lids form a tight seal to keep medication secure. Ideal for anyone on a daily medication or vitamin schedule. 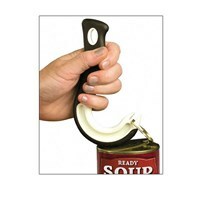 To Detach: Simply slide desired section(s) apart by pulling up on one side and holding the other side in place. To Reattach: Line up the interlocking groove of the bottom of one compartment with the top of the interlocking groove of the other compartment. Slide down to reattach the desired section(s) of the pill box.